The Agape Puppets > Updates > Country > USA > 2018 Great News!!! We have some wonderful news to share with you! Recently, we have been contacted and asked if we were able to receive a donation of stocks and mutual funds. We started exploring this possibility and have a good report for you. We realized that our ability to accept this kind of donation could really increase our opportunity to better share Jesus and His hope with the children of the world. As a result, we now have an account with Stifel. If you would like to make a donation of stocks or mutual funds, please contact me by email and we will discuss the details. I see this as a beautiful new day for the puppet ministry. We always have more requests than we are able to meet. Now, this will give us an opportunity to say yes to our friends around the world who are seeking to tell their children about Jesus. 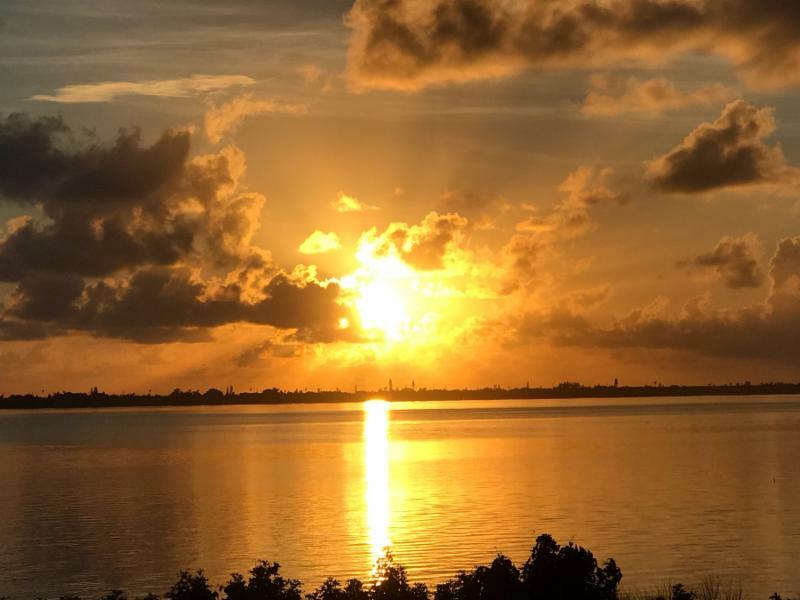 You might enjoy knowing that I took this picture of the sunrise with my children and grandchildren in Florida. I came home feeling very blessed to have the family that I do! It is one of the greatest joys of my life to be a grandma!